With the development and greater interest in sports, the demands and expectations on sports facilities have risen. The days of threadbare”mud field”pitches are no longer acceptable. Extensive research has been carried out on products and management techniques to improve sports turf quality year round. The results of this can be seen in many pitches ranging from some of the top football and rugby stadia, to local club pitches. Cropcare can supply the technical experience and products to achieve this standard. We offer soil sampling service and will develop a year long maintenance programme specific to the requirements of your pitch. 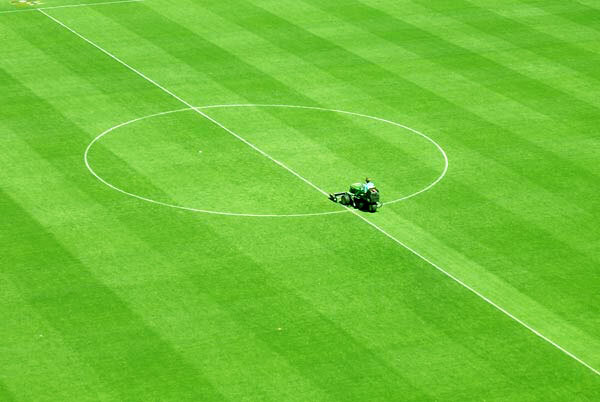 Cropcare also supplies the industry leading pitch marking machines and line marking paint.